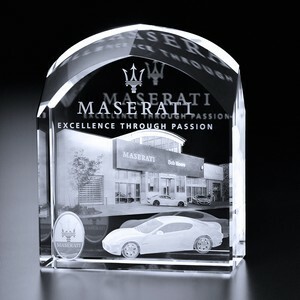 The Barrington Award is ideal for an award or lobby piece. Curved bevels enhance the sophisticated look of this new award. The Barrington Award is available in three sizes.